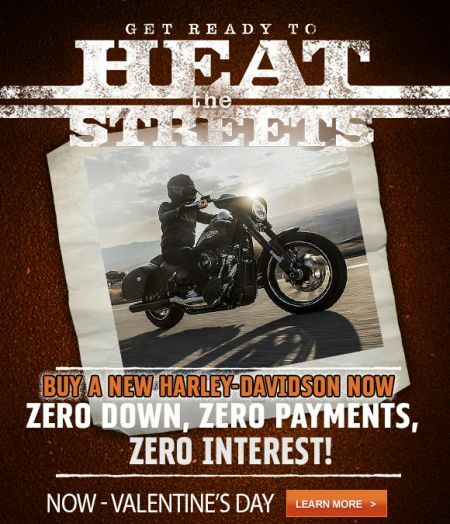 Home › Promotions › Heat The Streets: New Bike Promo! Heat The Streets: New Bike Promo! and receive ZERO INTEREST, ZERO DOWN & ZERO PAYMENTS! No payments for 120 days and no interest for 90 days. Promotions cannot be combined with any other offers. Ends 2/14/19.